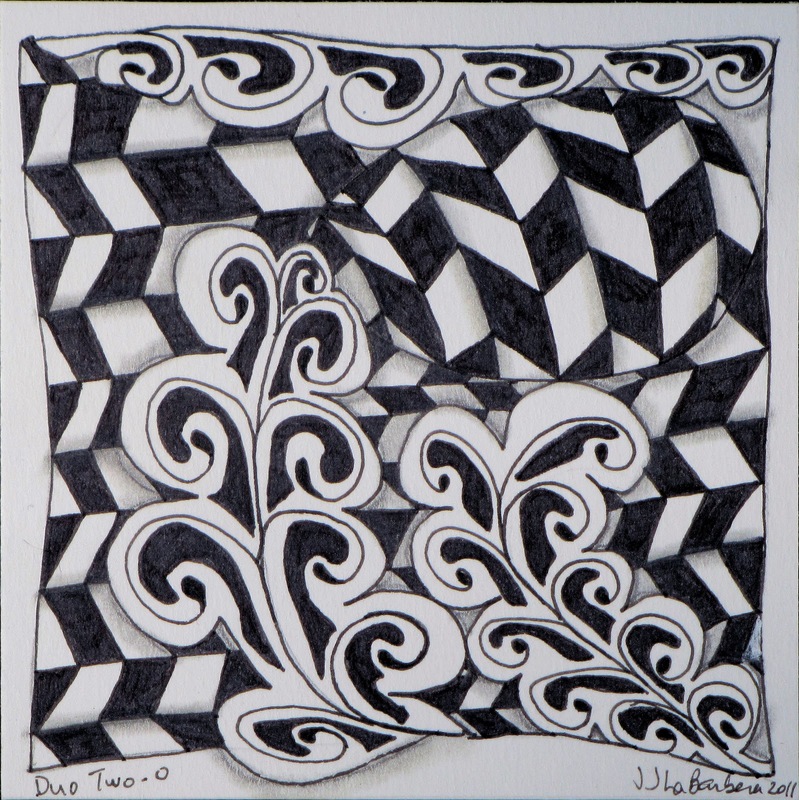 This week the challenge is to use just two tangles in our zentangle this week. Just using two tangles isn't hard for me, I don't think so anyway, but using Opus is. I don't usually use this tangle and I'm not really sure why. It looks like I have some more practice ahead of me for Opus. Some of you have such beautiful Opus. Mine is a bit plain, but as I said, I have some practice ahead of me. 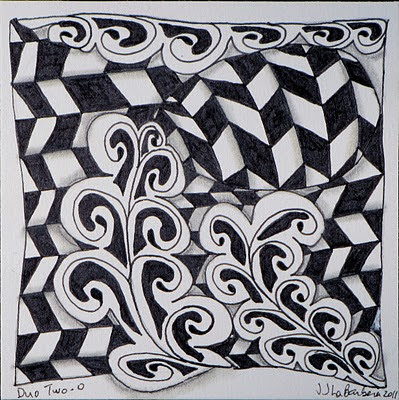 I do like the interplay with these two tangles. The flow of the Opus is a nice counterpoint to the rigid Jonqal. Thanks to everyone for the really great comments on last week's challenge. My 4 year old had a great time playing with it. I think you did a great job! It's curvy just like it should be and I like the way it encroaches on your jonqal. I like the shading on jonqal too. I love your tangles playing with each other and the way the jonqal goes in different directions. Your Opus is looking fine to me. Hooray! Really like this, nice, clean and strong.